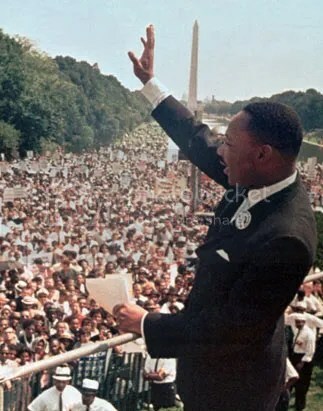 It was 50 years ago through the blood, sweat, time, toil and tears that a 34-year-old Baptist preacher stepped to the microphone on the Mall in Washington and for the next 17 minutes he gave what is perhaps the greatest speech in America’s history. Five years later, Martin Luther King would lie dead from an assassin’s bullet and much of his Dream of a better world for children of all races, creeds and colors died with him that day as his blood drained from his body on the balcony of a second-rate motel in Memphis. I refuse to play this silly game. If Dr. King were alive today, he’d be 84 years old. I can’t begin to speculate how an 84-year-old man feels about anything. At that age you’re probably happy if you can make it to the bathroom with peeing on yourself. He would be deserving of a little quiet in his sunset years instead of being badgered for a comment on the issue of the day. An equally dumb game is the “Martin Luther King, Jr. was a Republican” crap advanced by colored conservatives like Alveda King, the loudmouth niece of the slain civil rights leader who will tell anybody who asks, “Dr. King was a Republican! I know it.” How she knows this when King never said he was a Republican, his wife never said he was a Republican and his children never said he was a Republican is anybody’s guess. Was MLK a Republican? No. But if Alveda King wants to believe he was I’m okay with that. If she wants to believe MLK would make a better Batman than Ben Affleck that’s fine too. It’s nuts, but so is the suggestion one of the greatest and most committed activists of his age, would be watching Fox News religiously. What they don’t realize is King wasn’t simply a dreamer and his Dream was rooted in harsh reality. 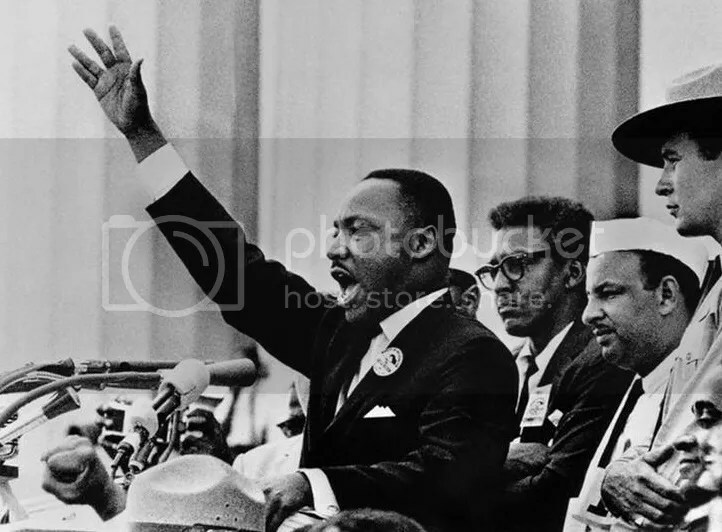 “I have a dream” isn’t my favorite part of the speech, but the less optimistic and slightly ominous caution of growing Black restlessness and discontent as King challenged America to confront its shabby treatment of its Black citizens. That is as true now for America now as it was 50 years ago on a beautiful day in Washington. The misery of Black people should not make White people happy. People in misery are volatile people and people with grievances are subject to be manipulated and misled by opportunistic extremists who stoke the fires of racial resentment for their own cynical purposes. That’s not the kind of extremism King was advocating. His was a creative extremism where love drove out hate, the artificial divisions of racism, sexism, and classism would fall away before the soldiers of peace, progress and prosperity. 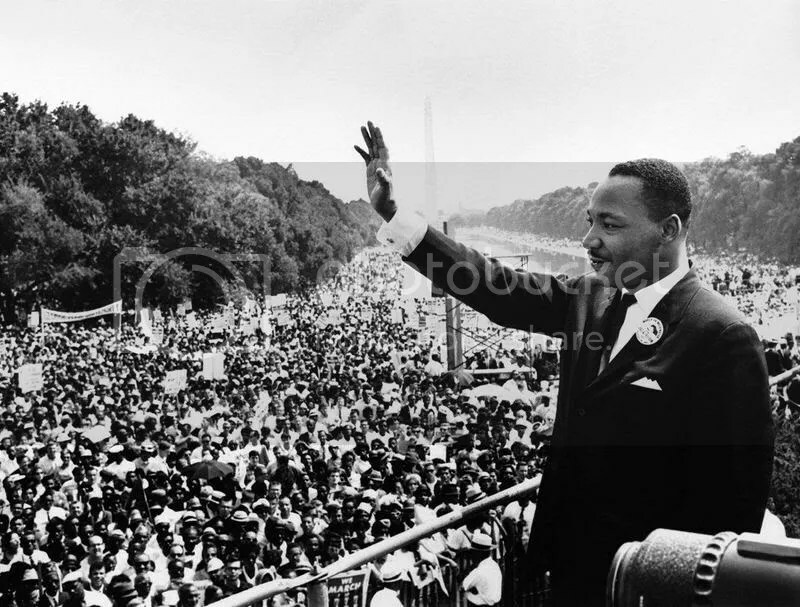 They call Martin a “dreamer” but he was wide awake. It was the rest of us who had drifted into a slumbering stupor that required him to stir, awake and arise to make a better world. We are closer today than we were 50 years ago, but close isn’t the same as being finished. ← The End of “Breaking Bad” Is Where I Begin. 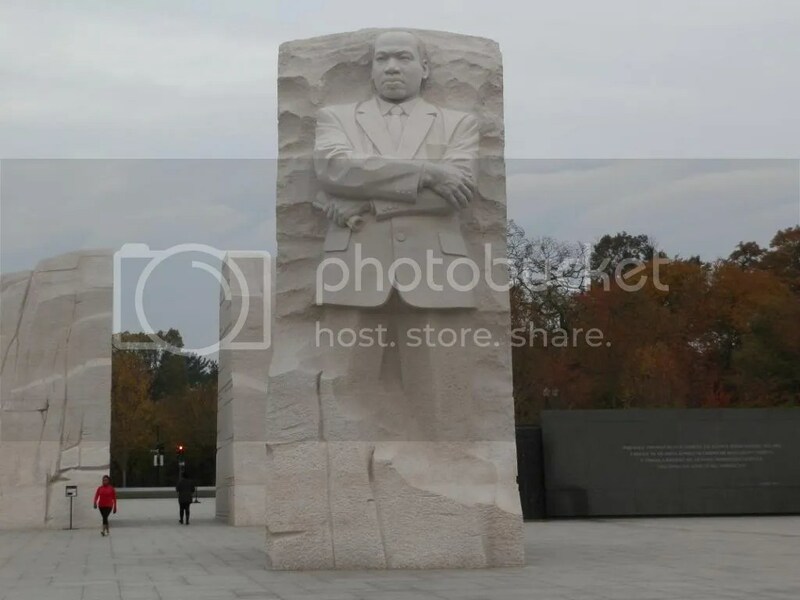 In a lot of cases when it comes to dream of Matin Luther King Jr it’s obvious that his dream has turned into a full blown nightmare for a vast % of poor black’s who are either locked up in these updated slave private prison plantations or all the black’s that have been beat and klled by racist police all over the country. These people who run these courts do not even have the decenty to change the crack cocaine law in spite of all the damage is has done to black communities,black families,black men,black women and black youth. So in spite of all the hype the only solution now in the year 2013 is for the black masses and so-called black leadership to create a new liberation paradigm beyond the dream of Martin Luther King Jr.